Bowl of cute miniature melons. 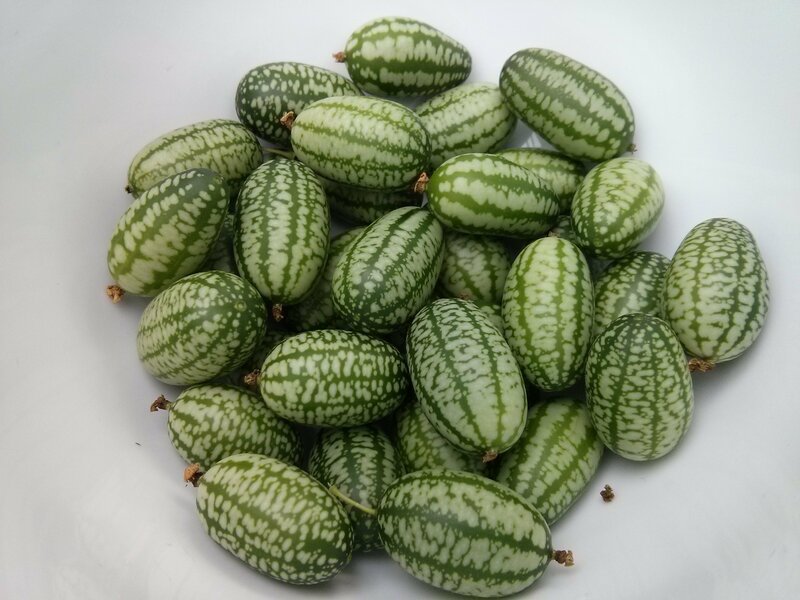 True to their name, Cucamelons are miniature fruits that closely resemble watermelons but taste of cucumber with an added lime aftertaste. For me, the actual cucumber taste is nothing special but it is this extra citrus tang that make them worth eating and something different. They are especially good at adding hits of zesty flavour and bitesize crunch to salads, cooked grains and other dishes. Their crunch also lends itself very well to them being pickled and I’ve made of couple of jars of pickled cucamelons with chilli and garlic so far this year. 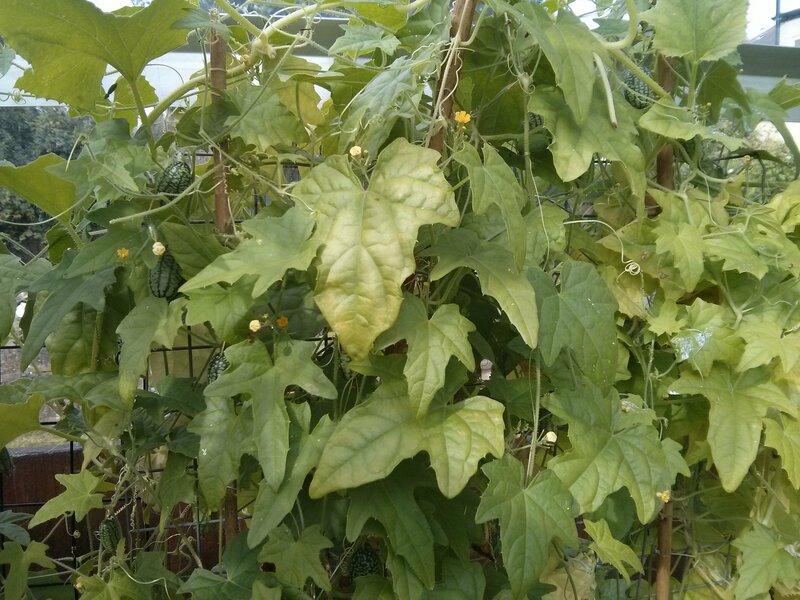 Cultivation wise, I’ve treated them just like normal cucumbers and they’ve needed minimal attention so far. Although be warned that they are extremely vigorous climbers and will take over wherever you’ve chosen to grow them. I’d originally planned to simply stake them with a few canes but have ended up fixing up some trellis supports for them to climb which they definitely need. What surprised me most was just how productive they’ve been, from just two plants I’ve been able to harvest a sizable bowl full of cucamelons at least every week. Which also considering that they don’t actually take up that much space means that I’m certainly considering growing them again next year. 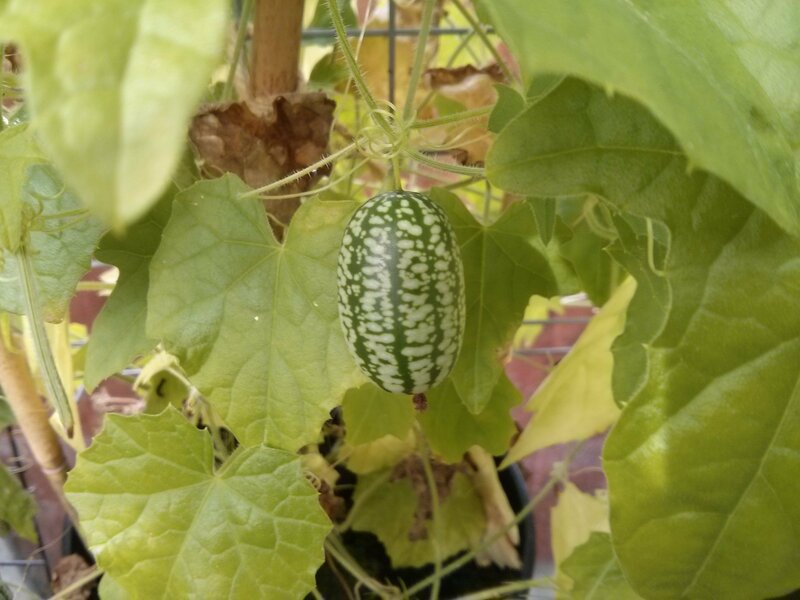 Cucumber with a hint of lime…. I’ve tended to harvest them when they’ve the size of a large grape. Although, to be honest I haven’t left any on the vine long enough to know if they eventually turn bitter! I’ve grown all of mine in the greenhouse but they could possibly be grown outside given a warm enough year and some shelter. What do I want from Large Seed Companies? Beans, Beans, the Musical Fruit.